How to watch Pocoyo Halloween: Space Halloween (2015) on Netflix Canada! Yes, Pocoyo Halloween: Space Halloween is now available on Canadian Netflix. It arrived for online streaming on March 8, 2019. We'll keep checking Netflix Canada for Pocoyo Halloween: Space Halloween, and this page will be updated with any changes. 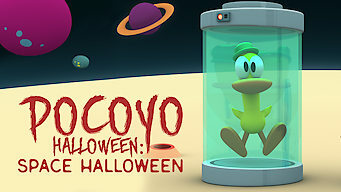 Pocoyo and his friends have a costume contest to celebrate Halloween and learn new things about planets and stars in space.